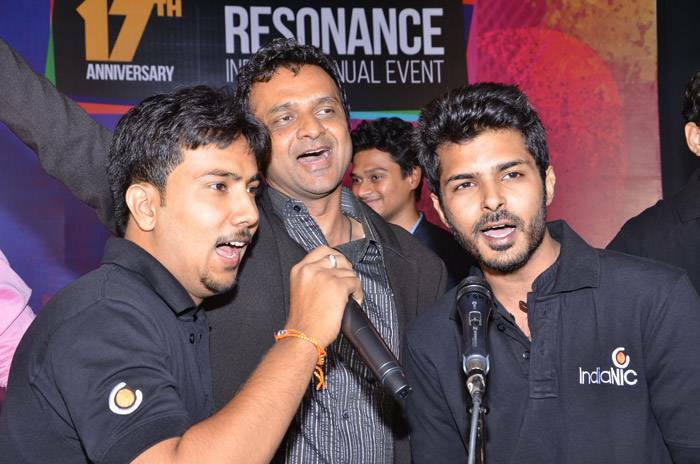 We, IndiaNICians cannot forget the evening of 14th May, 2015 as we had an annual event “RESONANCE” on the occasion of 17th birthday of IndiaNIC. We witnessed awesome performances ranging from skit to singing, and music to fashion show. In every performance, IndiaNICians have shown both inherent talent and sincere efforts. It is once again proved that IndiaNIC is not a company with experienced professionals, its professionals possess a multifaceted talent in both work and extra activities. After successful completion of an event, all of us had sumptuous dinner. In brief, “RESONANCE” gave new vibes of joy and enthusiasm to all of us. It gave us refreshing and rejuvenating experience and made us ready to face the challenges with zeal. Truly speaking, “RESONANCE” gave all of us an unforgettable experience.